In 1999, a man named Tsun Shui-lun, a technical assistant at Queen Mary Hospital, retrieved the medical records of the then-Secretary for Justice, Elsie Leung, and proceeded to share them with his friends, family, and the media. The Secretary for Security, during the second reading of the bill, said the intent of the offence was “to penalize access to a computer for acts preparatory to but falling short of the commission of a fraud.” Two cases that took place last month – the theft of customer information in a travel agency and the hacking of a school’s computer system – may fit the bill as such. There also appears to be a gradual broadening of the terms in the offence: following a 2013 case, mobile phones fell under the definition of “computer” in section 161. One of the most controversial areas is the extension to prosecuting under the section for online speech, which has led activists to decry an infringement on freedom of expression. In 2014, a man surnamed Tam posted on the popular HKGolden forum, calling for protesters to “paralyse the railway system by gathering on railway platforms in an attempt to create chaos” during the pro-democracy Occupy protests. Tam was also arrested under section 161. Tam’s case is not an isolated incident. According to the Hong Kong Transparency Report, at least 19 people have been arrested for comments made online from June 2014 to August 2016. The Progressive Lawyers Group’s Choy Ki questioned whether the case was a case of “thoughtcrime,” meaning one could be found guilty merely by having an “intention” of committing a crime while using a computer. Another problem is that the question of whether a person has committed a crime in a particular situation may come down to the device – or lack thereof – used in an act. IT sector lawmaker Charles Mok questioned whether the law now criminalises any behaviour remotely connected to a computer, and not purely the behaviour of using a computer as a tool to commit fraud. 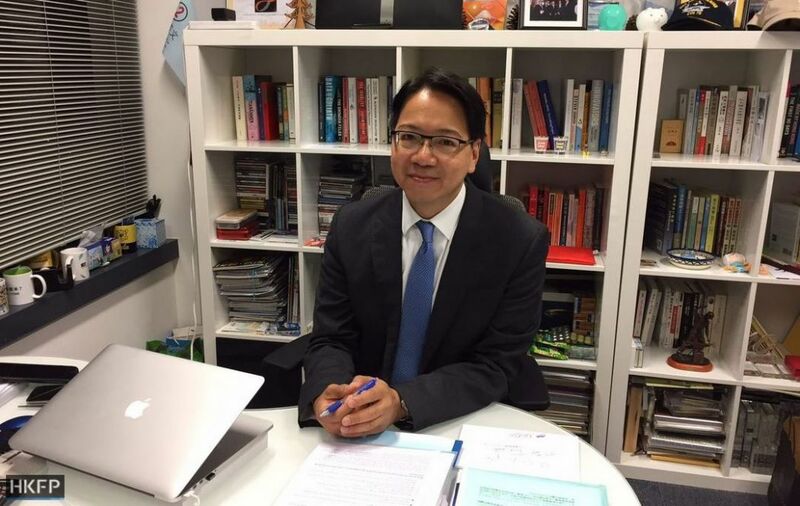 “The problem is when there are offences where you won’t prosecute when a computer is not used, but because… of the fact that a computer is used, it is convenient to use this catch-all law to charge them,” Mok said. Choy, who is also a former counsel for advocacy group Keyboard Frontline, said that the biggest problem with the deviation from the legislative intent was that the sentencing – currently set at a maximum imprisonment of five years – does not reflect the present application of the law. Because the original legislation was drafted to deal with problems such as unauthorised access to computer and fraud, the criminality of the present situation is in fact not considered in the current sentence, Choy said. This means that both the premeditated theft of credit card information and online posts made in the state of heightened emotions are both subject to a maximum sentence of five years in jail. “The law is indeed not dead, and there are occasions when there will be a deviation from the legislative intent, and [the law] would be broadened in a judgment,” Mok admitted. But Mok said the criticism was not directed towards the judge, but rather the prosecution process. 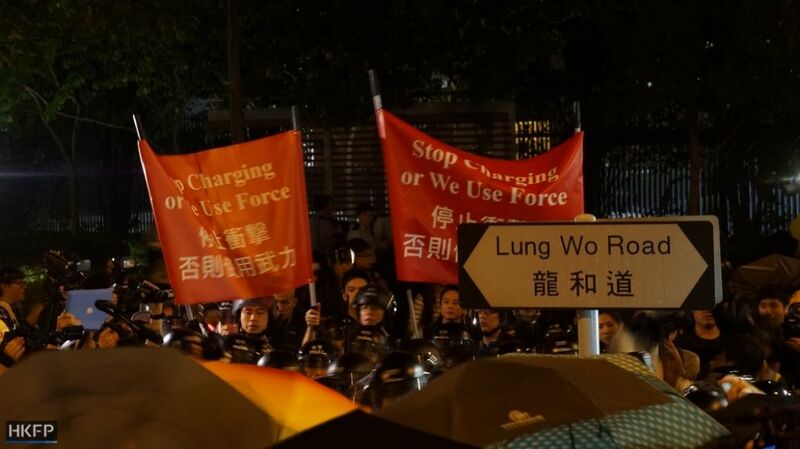 Another Occupy-related incident saw Tong Wai-leung, 20-year-old defendant, uploading the personal data of a police officer and that of his family onto the internet, then claiming that someone had been directed to assault said family members. 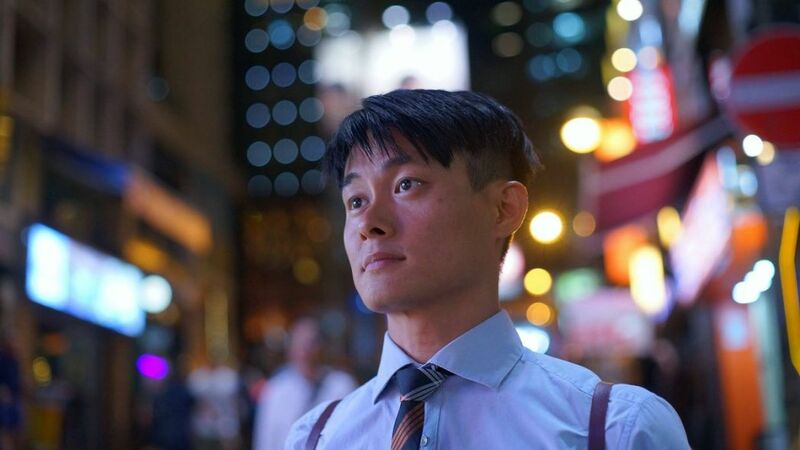 While the government said that Tong was arrested for “criminal intimidation,” during trial he pleaded guilty to obtaining access to a computer with criminal intent, SCMP reported. Tong’s case is an illustration of situations that worry both Choy and Mok, where the law enforcement uses the section or offence that has the greatest likelihood of fetching a conviction – something then-Secretary for Security Lai Tung-kwok admitted to doing in 2014. Charging a defendant with multiple offences means that the arrestee or defendant will be scared, Choy said. When there is a plea bargain the heavier charge will be dropped when the defendant confesses to dishonest use of a computer. “They are more inclined to admit that they used the computer, and the prosecution can rely on that admission in charging them,” he added. Choy said this is especially so in the dishonest use of computer offence, where it is difficult to prove the identity of the perpetrator, because of the ease of hiding the IP address nowadays – meaning that unless there is a confession, there may not always be enough evidence to result in a conviction. For Mok, the possibility of these scare tactics means that there could be “selective” enforcement of the law. Mok said that many people who are charged become scared and plead guilty, and they won’t appeal even in cases when there may be grounds to do so. “They won’t use the offence to charge someone like Joshua Wong, because he would appeal for sure. They would charge those that don’t – regular people,” Mok said. But both Mok and Choy said that while they have these concerns, they had no way of confirming whether law enforcement employed these tactics, because of the lack of transparency. “This is how the chilling effect arises,” Mok said. Meanwhile, the number of people arrested under the offence increases every year. In 2004, there were 30 prosecutions and 23 convictions for the offence; these figures have risen to 93 and 77 respectively in 2016, according to the government. But details of these cases are not known. For years now, Mok and other pan-democratic lawmakers have pressed the police to provide classifications of cases relating to section 161 – such as how many of them relate to online speech – and they have refused to do so, citing a lack of resources. 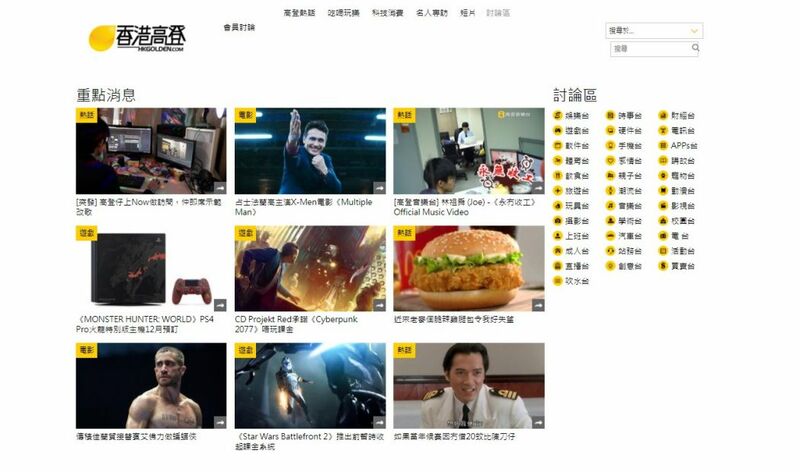 While platforms such as Hong Kong Transparency Report and Keyboard Frontline have kept databases dedicated to such categorisation and fill the information gap, “It’s hard for us to prove whether it’s the situation we see now on the surface,” Mok said. This is especially so because the majority of the case are dealt with in Magistrates’ Courts, and go unreported. Choy believes that the debates concerning section 161 involve a broader issue in that there is a need for the government to become more transparent and keep better records. One way of achieving this on the legislative level is with freedom of information and archive laws – both of which are currently being studied by the Law Review Commission. Choy said that there should also be a push for the judiciary to make trial records public on even the magistrate’s court level. Although Mok’s motion to review section 161 was voted down in the Legislative Council on February 2015, as of October the government has stated that the Law Reform Commission has plans to review laws in relation to cyber crimes, and it has started the relevant preparatory work. Mok also called for clearer prosecution guidelines on the matter and more transparency in data in order to prevent abuse and to ascertain a better picture of the present situation. “I don’t know if this is a philosophical or practical issue, but when we’re pushing the government to review section 161, don’t be too happy if they really propose changes. Even if it was found that the government and law enforcement had abused section 161, they might come up with something that’s even more comprehensive and gives the police or the government even more power in a more defined way,” Mok said.